DID JEREMY CORBYN VISIT THE KNESSET TO FREE NUCLEAR SECRET SELLER VANUNU? Corbyn was deeply involved in efforts to secure the early release of Mordechai Vanunu, who was sent to prison in 1987 for selling Israeli nuclear secrets to the Sunday Times of London. UK Labour leader Jeremy Corbyn may have visited the Knesset in 1998 to campaign for the early release of nuclear secret leaker Mordechai Vanunu. 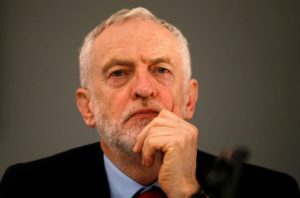 Earlier this week, Corbyn came under fire when photos of him laying a wreath at the graves of the perpetrators of the 1972 Munich Olympics Massacre, together with a leader of the Popular Front for the Liberation of Palestine, which was behind numerous terrorist attacks on Israelis. Then, despite the photographic evidence, his spokespeople said that Corbyn did not participate in the wreath-laying.